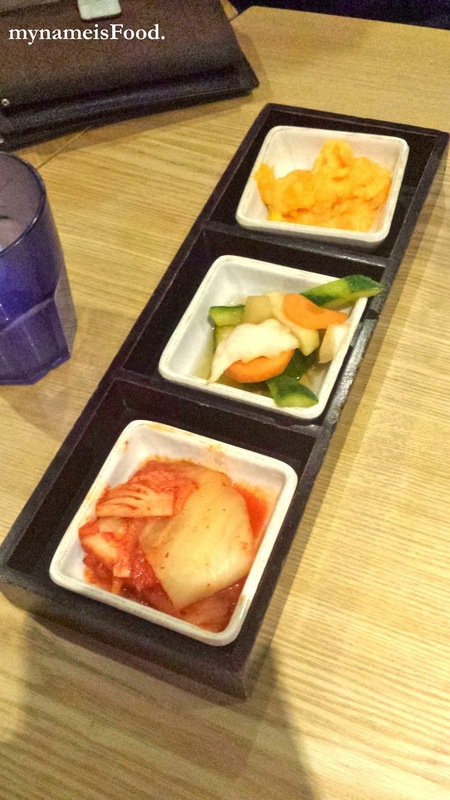 'Banchan' as Koreans call it are side dishes which accompanies your main dishes and while you talk or drink with your mates.. However, when I came, the side dishes weren't that appetising for me.. Kimchi was okay, the vegetable pickles seemed too western and didn't really taste good.. The only side dish that got me was the what I think was sweet potato/pumpkin.. Although it lacked abit of taste.. 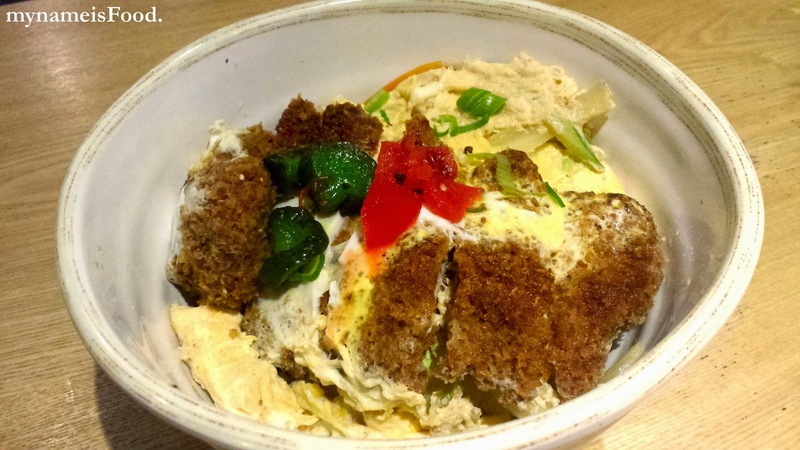 But it reminded me of the cold potato mayo salad that I've tried in other korean restaurants.. The lunch menu ranges from about $9-$12.. 'Katsudon' is pictured above which is deep fried chicken with egg on top of warm rice.. 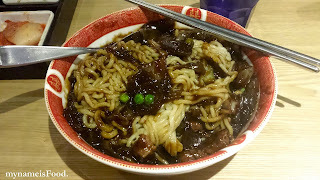 I didn't get to try this but they said it was just okay, nothing special..
'Jajjangmyeon' which is Korean black bean noodle.. This photo above shows the noodles already mixed together.. It said on the menu that it also had pork in it, but it was a dissapointment for me as there was basically no pork, maybe only 5 little pieces? and that was about it... I've ordered this dish before in other restaurants and I'm sure it's much better..
'BiBimBap' the typical korean food, one of the basics.. 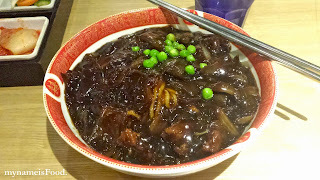 However, this too was a dissapointment.. My friend said it lacked colour and taste, even when everything was mixed together.. 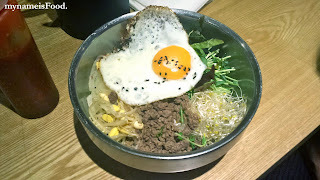 It only consisted of alfafa, beansprouts, minced beef and other greens and a fried egg.. That was about it.. she wondered where the carrots would be or the spinach or mushrooms or cucumber.. Sure, it all tasted quite nicely after putting the 'gochujang' sauce but other than that, not good.. It's interesting how when a restaurant opens up, their presentation and portion of food is so much better than after a few months.. This happens alot with asian restaurants too.. I've been here when it just opened not too long ago, and I enjoyed the food, but now, I'm not too sure if I would go back again for their lunch.. Maybe try their share plates and that, but who knows, maybe that has changed too..